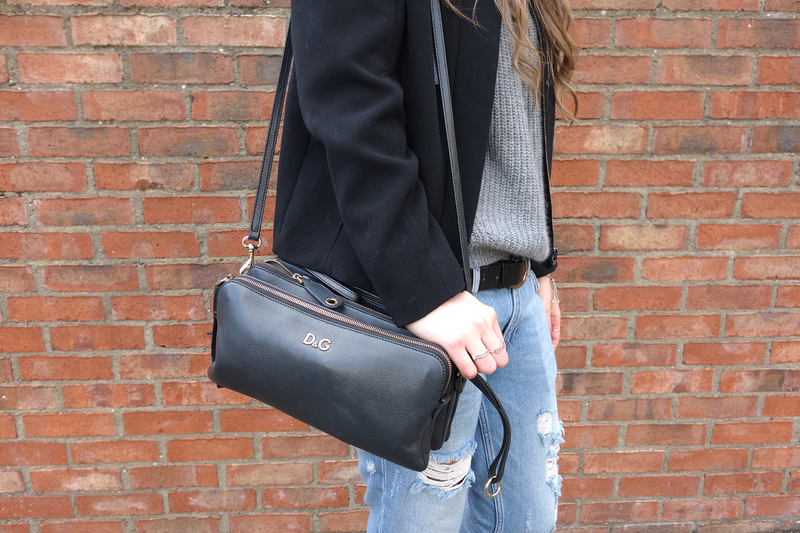 jacket: topshop, similar | jumper: topshop | jeans: zara | boots: isabel marant | bag: D&G (as always) – sorry for the weird blurring on these photos! Just couldn’t get it right. The title is what my friend said to me as she was taking these photos, which by all accounts I’m happy with and declare it a victory. Do you know how long I’ve been searching for these boyfriend jeans? Ones that aren’t high waisted (not everything has to be high waisted, Topshop), aren’t too baggy and have the right amount of rips without looking like I’ve been victim to someone who’s a bit slash happy. Much to my lack of surprise, Zara came to my rescue with these babies. 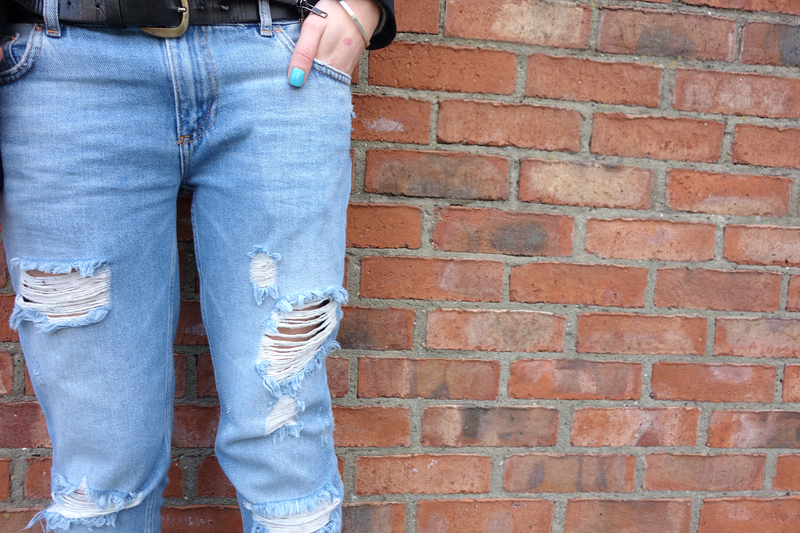 So if I look like a boy, then it’s a small price to pay for boyfriend jean perfection. Anyway, I had a lovely time yesterday meeting up with Bre (I wish she would get back to blogging! ), we went for a wander around town and got a nandos. I have a thing for Caesar salad right now and every single time, I convince myself it’s healthy (so isn’t. so bad) so have to order chips to ‘balance it out’. Sorry diet. Today I’m looking after my niece and tomorrow, my nephew. It’s also my two year blog anniversary tomorrow (cray) so will be launching a new givaway, keep your eyes peeled for that! Also, important note: Everything needs to be gone from my Depop by tomorrow, as it’s all going to the charity shop then. All offers welcome and considered!